Today I fell in love… with my plate full of loaded taquitos. They smell just amazing and look… I mean, just look at them. This dish is as delicious as it looks! So are you totally drooling over these yet? 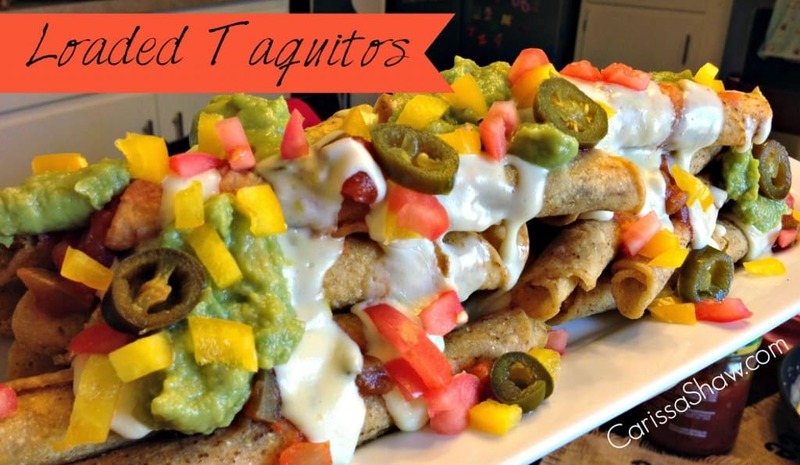 No worries; I’ll tell you how to make your own loaded taquitos! Your friends and family will be so impressed when you whip up a big plate of this deliciousness to serve while watching the big game, for movie night, or even for a quick weeknight meal. 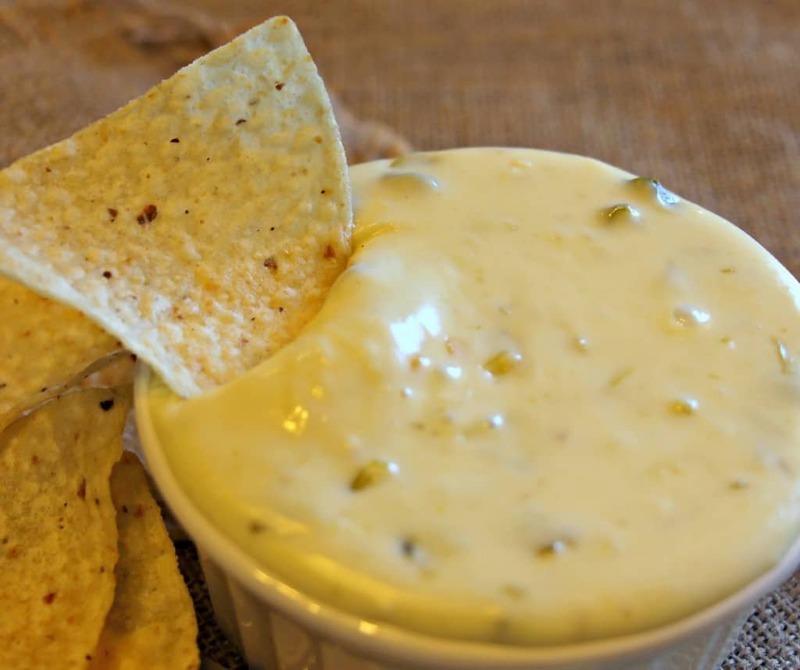 To start with, loaded taquitos need an awesome homemade queso blanco. No need to buy it in a jar because this is such a simple recipe that takes mere minutes from start to finish. 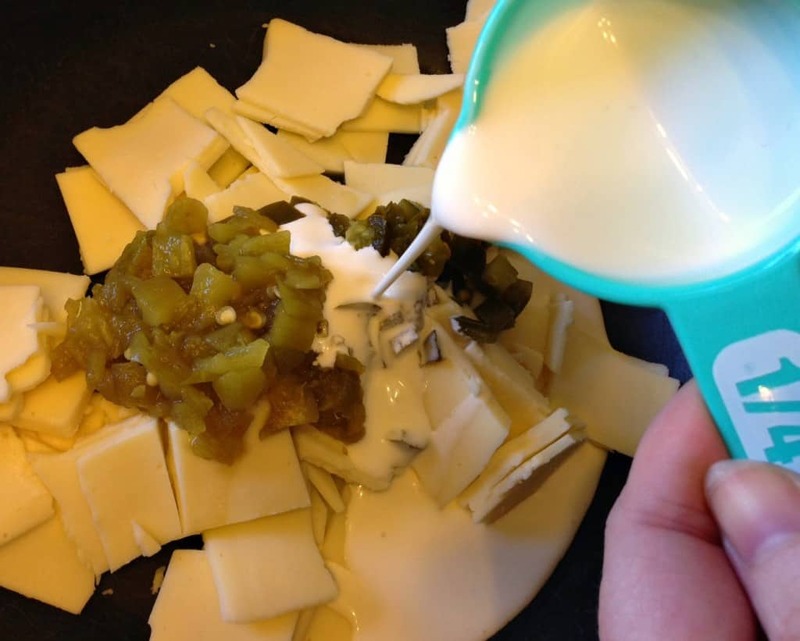 This Queso blanco recipe actually calls for white American cheese. No joke. White American cheese is the thing. 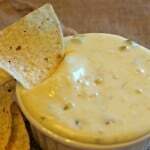 It works perfectly for queso blanco. You won’t want to buy the kind that is individually wrapped, like what you would use for grilled cheese sandwiches. Visit the deli section and look there. Combine all ingredients in a medium skillet or sauce pan. Heat over medium heat until the cheese is melted, stirring occasionally. 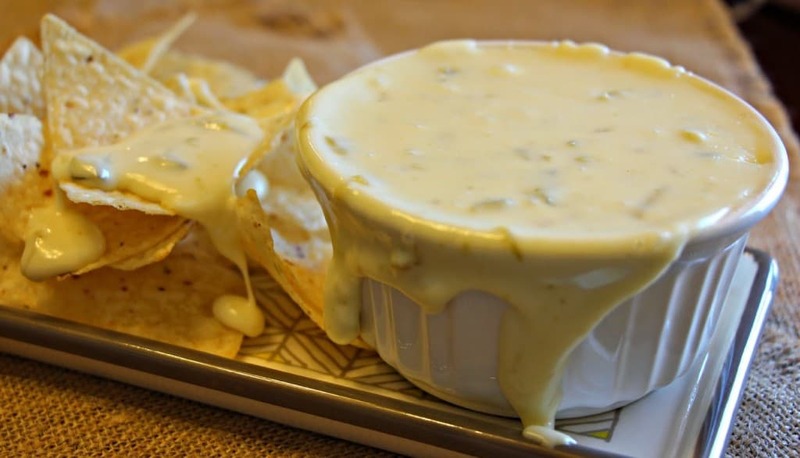 Mix the cheese sauce well. Serve warm. 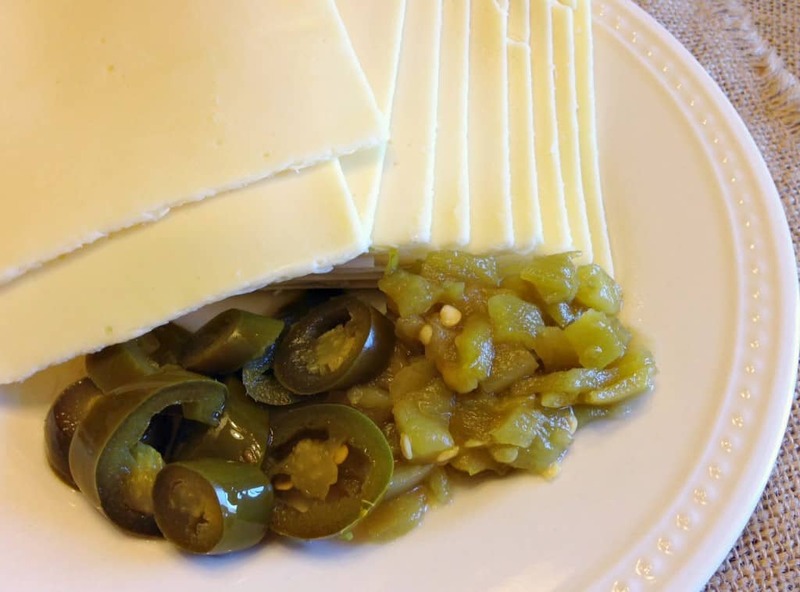 Toppings of your choice: pickled jalapenos, chopped bell peppers, chopped onions, sour cream, shredded cheese, salsa, chopped black olives, shredded lettuce, chopped tomatoes, guacamole, etc. Bake the taquitos according to package directions. 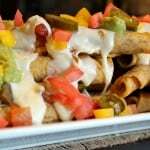 Place the taquitos on a large platter and top with queso blanco and other toppings of your choice. Serve immediately. Makes 4 servings as a meal or 8 servings as a snack. 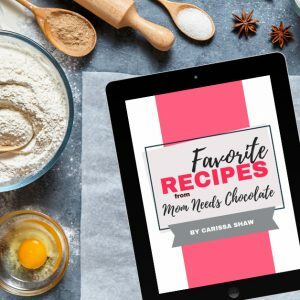 Thanks for sharing your recipe at the A Little Bit of Everything Link Up Party! 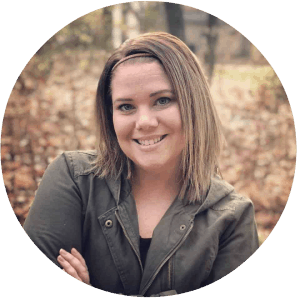 I am sharing it tomorrow (Monday as one of my favorites from the link up party! The sauce looks so yummy, Carissa. I'm going to plan it into our "Sunday Supper Snack" soon. I love the picture with the sauce spilling over the side of the dish! This looks incredible! 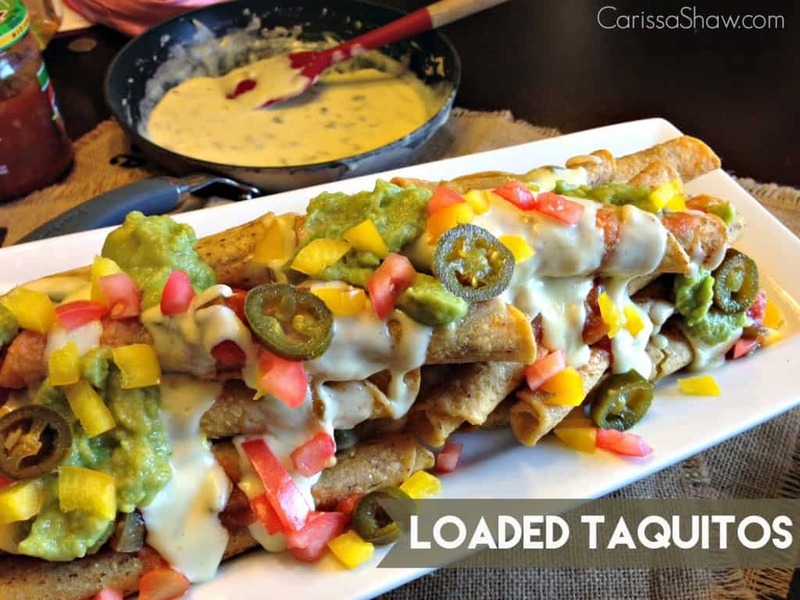 I am going to have to check and make sure that those taquitos are gluten free, they are corn tortillas so I am hoping so, cause this looks incredible!!!! Now I want Mexican food! That looks delicious! I love the idea of loading your taquitos. It makes the dish more like a restaurant appetizer!